We often think of happiness as something that happens to us rather than something we choose. 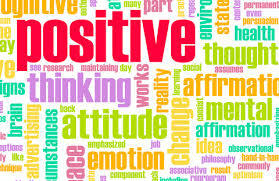 To start loving your life, make a conscious decision to start thinking more positively. It is important to remember that while you can’t always change what happens to you, you can change how you react to it. Rather than going with your instinctive reaction, try to look for the silver lining in situations. Try creating a “happiness diary” to help you – reflecting on all the things you have to be grateful for each day. Many of us find it difficult to enjoy the present because we are so busy dwelling on the past and worrying about the future. While learning from the past and planning for the future can be beneficial, try to make sure you are spending the majority of your time focused on enjoying the present. In particular, try to let go of regrets. Remember that going over your regrets will not change what has happened; it will only ruin your present happiness. Make amends and try to learn from your mistakes, then let them go and devote your energy instead to creating a life you love. In order to truly love your life, you need to start to love yourself. We often see ourselves in the worst light, particularly when life isn’t going how we want it to; however, it is important not to be hard on yourself and blame yourself just because you feel something in your life hasn’t worked out. Rather than focusing on harsh comparisons with others and all your perceived faults, try regularly reminding yourself of all the good qualities you have to offer and all the successes and achievements you have accomplished so far, and learn to appreciate the unique person that you are. It’s easy to get into a rut where we do the same things day in, day out, with our days passing us by as a routine-filled blur. Starting from now, why not spice up your routine by vowing to do one small thing differently each day or week? Wear something you wouldn’t normally wear, try a different workout, or order a different coffee perhaps. Also, don’t fall into the trap of postponing your happiness by saving everything special “for best”. Instead, brighten up a routine day by donning your diamond earrings or favourite silk underwear, or treating yourself to a glass of champagne. Don’t wait for special occasions to live your life to the full – start making every day count. Often, we fill our time with the things we think we ‘should’ be doing rather than the things we want to, which means we never quite get around to doing the things that make us happy. Rather than letting your precious time slip away unnoticed, mentally go through your week and work out how you spend your time, writing down everything you do and how long you spend on it. Once you have your week written out in front of you, you can identify how to maximize your hours, what to cut back on and how to make room for more valuable activities. Many of our hours are “lost” to lengthy commutes, uneventful lunch hours and mundane morning rituals. To get the most out of your day, try to make these hours count. For instance, use your journey to work and lunchtimes to read or listen to a good book; get in some exercise; or do something creative, such as drawing or writing. Also, make the most of your mornings as a valuable opportunity for a bit of ‘me time’. Get up early and watch your favourite TV show, make an indulgent breakfast in bed, or swap your shower for a luxurious bubble bath. By spending your mornings doing something you love, you can start loving your life from the moment you wake up. Many of us fall into the habit of spending lots of time discussing and moaning about our problems, but very little time thinking of ways to solve them. Rather than viewing yourself as victim, turn yourself into a problem solver and think about how you can change your luck. Make a list of all the things that may be getting you down or that you would like to change and jot down some possible solutions. Then make a plan to tackle each problem one of one. While taking on challenges and keeping busy with the right things can be a great way to enhance your life, taking on too much can do just the opposite. Even if you are someone who thrives on pressure and enjoys taking on a lot of responsibility, everyone has their limits and taking on too much will cause stress and anxiety. To enhance your happiness, know your limits and learn how to say no, whether you need to delegate a task in work or turn down an invitation to a social event. Often, we drift through our days without ever really challenging ourselves or doing anything that makes us feel truly alive. If you feel you need to break out of a rut, add some excitement and a sense of adventure to your life by stepping out of your comfort zone and setting yourself some goals and objectives. Whether you want to take on a physical challenge, break a record, achieve a short-term goal or accomplish a life-long dream, decide on something you would like to achieve and formulate a plan to make it happen. We often spend our time looking forward to the next ‘big thing’ or exciting event in our lives and awaiting our next shot of happiness. However, to truly love your life you need to start appreciating every day and those little things that make you happy. Make a list of the day-to-day things that make you happy – such as having your favourite lunch, listening to your favourite song or having breakfast in bed – and make sure you schedule one of these treats into every day. A friend is someone you can be alone with, not able to think of anything to say and be comfortable in the silence. Friendship is a relationship of affection, caring and sharing. Life is so much more relaxed and fun when you’re with a friend. And you don’t have to ‘make conversation’ – you don’t have to pretend. We love our friends not just because we like each other or are useful to each other, but because we share the same values and ideals for our society, and come together to advance those ideals. Friendship means more than being an associate or casual acquaintance for a period of time. It’s a deeper connection and tends to last many years, even a lifetime, even when we are separated by circumstances. Because values are shared, we have important things in common, rather like family – even if in other ways we are quite different. A special friend will always be there to help you. But the doors need to be open, and that’s not possible if you’re ashamed of yourself or unwilling to show your true feelings. So yes, friendship starts with yourself, opening the doors and caring about others. Then you won’t be short of friends. To develop friendship, we first need to recognize how we are blessed by the presence of empathic souls in our life. Appreciation and gratitude always raise our vibration, and attract happiness and fulfillment – and as a result our friendships connect at a high level. True friendship multiplies the good in life and divides its evils. Strive to have friends, for life without friends is like life on a desert island. To find one real friend in a lifetime is good fortune; to keep them is a blessing.